Cloud computing is the best thing for small business since the invention of the stapler. But that doesn't mean that there are no cloud computing disadvantages and that every small business should immediately throw out all their servers and desktop software and conduct all their business operations in the cloud. Performance-intensive applications such as video editing are not suited to the cloud, nor are other types of software that require high-performance desktop computers (such as those used for graphic design). Small business owners have different needs and different comfort levels. It may be more advantageous for you to use cloud computing only for certain applications. Or even not at all. Before you throw caution to the winds and leap wholeheartedly into the cloud, consider how these disadvantages of cloud computing could affect your small business. Cloud computing makes your small business dependent on the reliability of your Internet connection. When it's offline, you're offline. If your internet service suffers from frequent outages or slow speeds, cloud computing may not be suitable for your business. Another thing to consider is how dependent your business would be on cloud reliability — even the most reliable cloud computing service providers suffer server outages now and again. On May 20, 2015, Apple iCloud had a seven-hour outage that affected email and various other cloud services such as iCloud Drive, Documents, etc. Can your business function in the event of a prolonged outage of your cloud services? How safe is your data? Cloud computing means Internet computing. So you should not be using cloud computing applications that involve using or storing data that you are not comfortable having on the internet. Established cloud computing vendors have gone to great lengths to promote the idea that they have the latest, most sophisticated data security systems possible as they want your business and realize that data security is a big concern; however, their credibility in this regard has suffered greatly in the wake of NSA snooping scandals. Keep in mind also that your cloud data is accessible from anywhere on the internet, meaning that if a data breach occurs via hacking, a disgruntled employee, or careless username/password security, your business data can be compromised. And data breaches happen to more supposedly secure companies all the time. You would think that the IRS, for instance, would have one of the most secure systems of all, but even they have experienced a data breach. Switching to the cloud can actually improve security for a small business. Many large cloud computing companies have more resources available to them and are often able to offer levels of security on average small businesses may not be able to afford to implement on its own servers. At first glance, a cloud computing application may appear to be a lot cheaper than a particular software solution installed and run in-house, but you need to be sure you're comparing apples and apples. Yes, cloud applications (also known as Software as Service applications or Saas) do not require large capital investment for licenses or support infrastructure, but does the cloud application have all the features that the software does and if not, are the missing features important to you? Having to customize your cloud-based software to suit your needs can add greatly to the cost. If you use custom-developed in-house software, it may not be possible to move it to the cloud without an expensive re-write — definitely a disadvantage. To be sure you're saving money, you have to look closely at the pricing plans and details for each application, taking into account possible future expansion. If you don't need the most up-to-date versions of software every year, desktop software can be cheaper in the long run. For instance, if you purchase the desktop version of Microsoft Office 2016 and use it for several years, you pay a one-time fee and own the software forever versus having to pay an annual fee for using the cloud-based version, Office 365. Other types of business applications such as accounting and tax preparation software require annual updates and are ideally suited to the cloud. If your business involves transferring large amounts of data, be aware that while transferring data to the cloud (inbound) is free, outbound data transfers over the basic monthly allowance are charged on a per GB basis. If your business requirements will include regularly downloading large amounts of data from your cloud applications or data storage, the additional costs can add up. The inflexibility of some cloud apps can be another serious disadvantage of cloud computing. Be careful when you're choosing a cloud computing vendor that you're not going to become a "forever" customer because their applications and/or data formats do not allow easy transfer/conversion of information into other systems. Just ask someone who has gone through the painful process of migrating from one accounting package to another. As an even simpler example, you can't insert a document created in another application into a Google Docs spreadsheet. Some vendors deliberately attempt to "lock-in" customers by using proprietary software/hardware, so that it is impossible or very expensive to switch to another cloud vendor. If you are considering a move to the cloud, make sure that your cloud vendor contract stipulates that you retain ownership of your data and that the vendor offerings conform to current standards. Also, make sure that you can easily (and inexpensively) add and subtract cloud computing users and data storage as necessary as your business grows or contracts. In the early days of cloud computing, poor customer service was a constant complaint from users. Fortunately, most vendors have made great strides in improving technical support over the past few years, but better service comes at a price. Google's basic "Silver" support package for their cloud platform currently costs $100/month, which has four hour response time (during business hours only) and does not include phone support. Other cloud vendors such as Microsoft have similar support plan options. If your business needs are such that you need a rapid response to customer support issues, make sure that your cloud services vendor has plenty of options available for technical support, including email, phone, live chat, knowledge bases, and user forums. Be prepared to pay for higher levels of support, particularly on evenings or weekends. 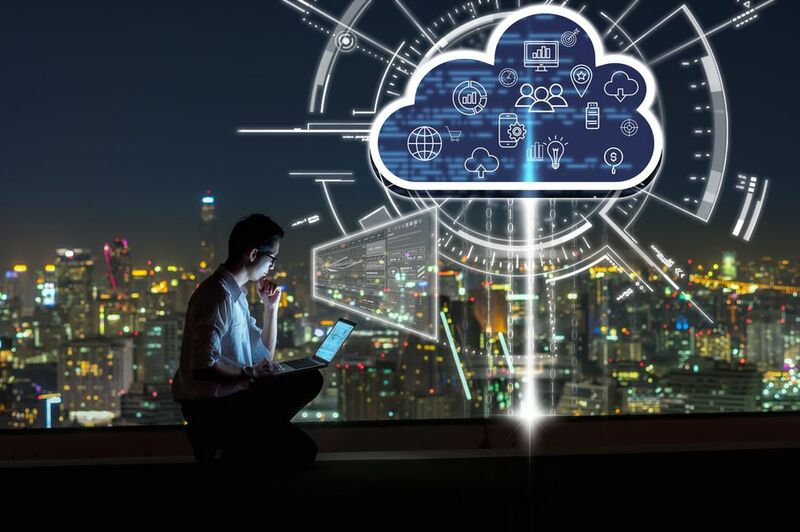 Cloud computing is a great opportunity for small businesses to off-load the hassle and costs of IT management — as long as they can live with the disadvantages. Security issues related to having their business data 'out' on the internet seem to be the number one concern of small business owners. One approach might be to start cloud computing slowly; choose one or two of your business applications to replace and see how it goes. Hopefully, over time, you'll become more comfortable with it and able to reap even more cloud computing advantages.